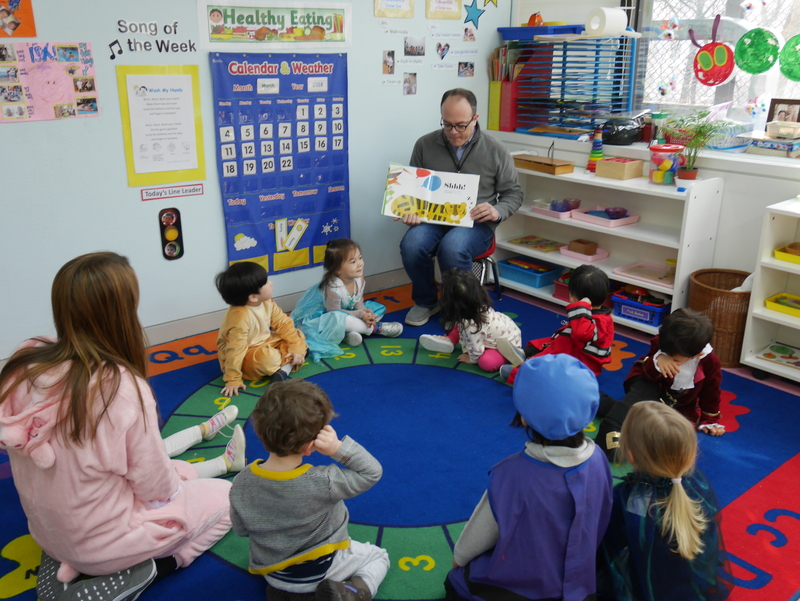 Parents went into Isa’s class all week to mark book week. 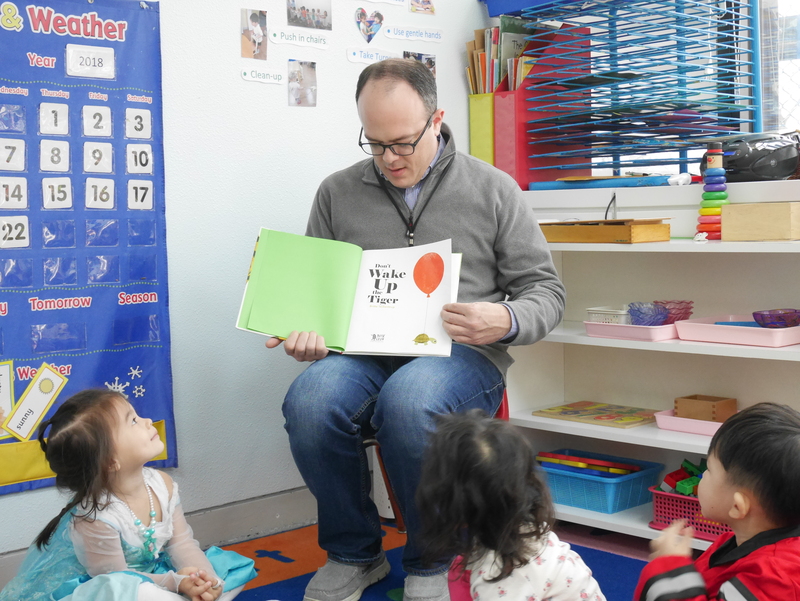 Isa’s daddy went in on Friday to read one of Isa’s favorites to her class. It’s called “Don’t Wake Up The Tiger” and it has lots of activities built in that the toddlers can participate in. Then he followed up by reading Poppy Pickle, another favorite in our house. Matty reads to the class.